New York, 1981. In the midst of one of the most violent years in the city’s history, local businessman Abel Morales (Isaac) is looking to expand his fuel distribution company with the acquisition of a bay-front storage facility, and to do it all legally and above board. He’s supported by his wife, Anna (Chastain), but the deal he’s making for the facility is dependent on his being able to make the final payment. With his trucks being hijacked on a regular basis, and with his drivers afraid to make deliveries, Abel struggles to make sense of who’s behind it all. Matters aren’t made any better by his having to contend with an investigation into his company by District Attorney Lawrence (Oyelowo). Lawrence is convinced that Abel’s business must be crooked in some way, despite his protestations. And as if that wasn’t bad enough, one of his drivers, Julian (Gabel), is involved in a shootout with robbers during an attempted hijacking. Julian goes on the run, and Abel has to track him down and convince him to give himself up. But Julian refuses and remains at large. Meanwhile, the due date for the final payment is fast approaching and Abel has to negotiate loans from as many people and places as he can, but he’s still short. When he learns that one of his trucks is in the process of being hijacked he pursues the robbers, eventually catching one of them. To his surprise he finds that the hijackings aren’t all that they seemed, though it does lead to a discovery about one of his competitors that he uses to his financial advantage. But with time running out he’s forced to approach Mafia-affiliated Peter Forente (Nivola); Forente agrees to loan Abel the money he needs but the terms are not very favourable. But when Abel tells Anna about the deal he’s made, she reveals something she’s done which has an impact on everything. 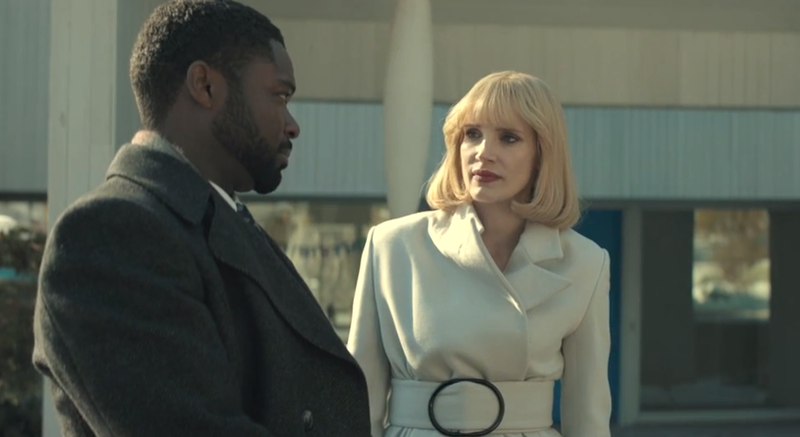 It’s been said on many previous occasions by many other people that the title A Most Violent Year is misleading. 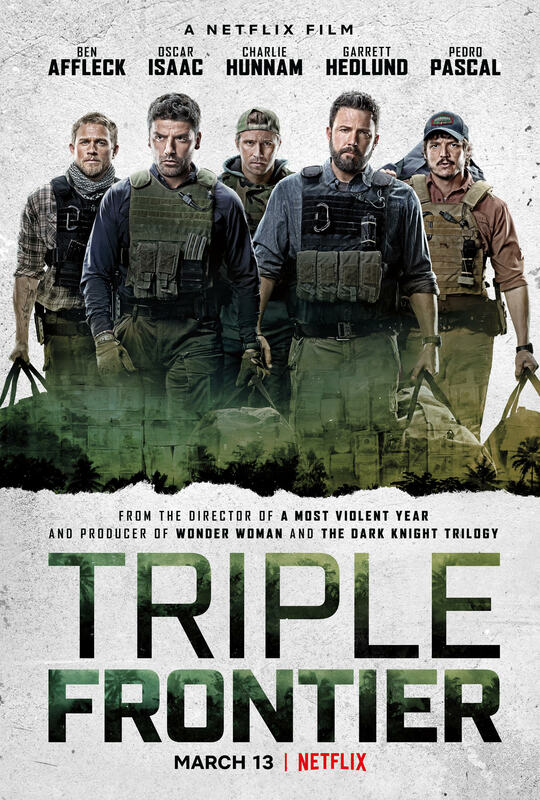 The movie contains little actual violence, despite including a bridge shootout and Abel chasing down one of the robbers, and there’s none of the tense showdowns we’ve come to associate with gangster movies. Instead, writer/director Chandor has chosen to focus on how difficult it is to operate in a criminal environment and remain honest. To look at Abel, and to see how close he’s getting to securing his company’s future, you do expect temptation to be placed in his way, and you expect him to struggle with each temptation, but what Chandor does instead is replace temptations with a series of setbacks. Abel’s a good man, solid and trustworthy through and through, and it’s how he maintains his innate honesty when faced with these setbacks – when he could be excused for taking a short cut or looking the other way for a moment – that defines him. As played by Isaac, Abel is a strong, determined individual who always seems a little out of his depth, despite his commitment. It’s his wife, Anna, played with spirited guile by Chastain, who is really the driving force and overseer of the business’s fortunes, and so we have a Lady Macbeth for the Eighties, as she cajoles and prompts and on occasion, bullies her husband into doing what’s needed. It’s a subtly constructed conceit – behind every successful man is an even more ambitious woman – but in the hands of Chandor and Chastain, the movie is all the more intelligent and engrossing when Anna is forced to take centre stage. The period setting is entirely apt, with the cold, wintry conditions of the time reflecting purposefully on the narrative, as Abel’s fuel distribution business, mostly gas, is seen as a saviour not only for him, but for the city and its battle with the elements (Isaac is seen throughout in a big mustard-coloured coat that looks as warming as it does heavy). The movie wants Abel to succeed and so do we, and as he navigates the treacherous waters of “low” finance, each time he doesn’t quite achieve what he sets out to get, it has the effect of impressing on the viewer that he too will be fighting the elements if he fails completely. Bradford Young’s cinematography is a highlight, the wet, shiny, chilly streets of New York given a light sheen of glamour that makes for some impressive shots throughout the movie. By focusing on the trials and tribulations of someone seeking to firmly establish themselves in their chosen area of commerce, and by keeping the stakes firmly in the foreground, Chandor achieves a directness of style and narrative that keeps the viewer intrigued as to the outcome, and committed to following Abel’s story to its conclusion. It may not be a movie that features a swift pace and dazzlingly executed photography, but its measured approach to the material allows the viewer to become embroiled in the machinations and leverages that Abel becomes involved in. 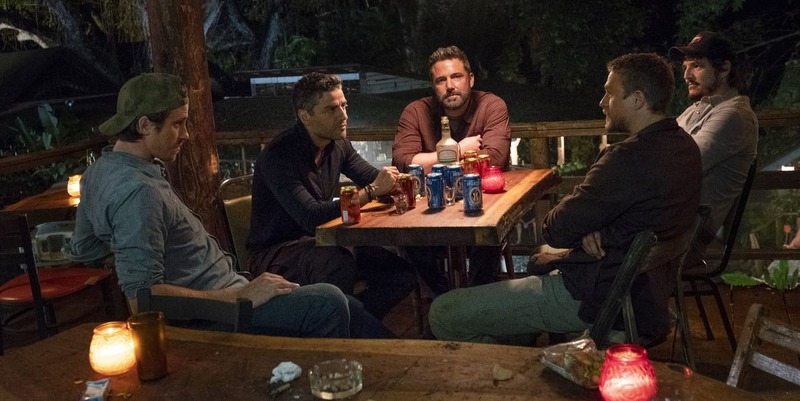 And if there aren’t any standout action beats or revenge style melodramatics then it’s entirely to the benefit of the movie, and stands as a testament to the quality of Chandor’s writing and directing. 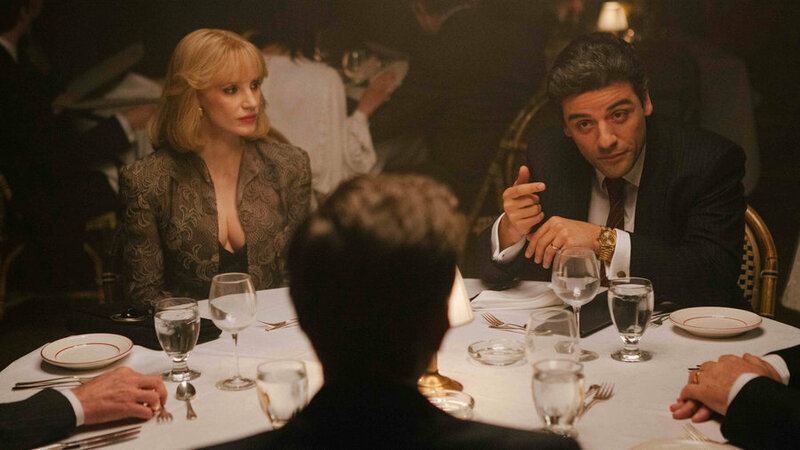 Rating: 8/10 – a modest yet effective crime drama, A Most Violent Year is yet another example of just how good writer/director J.C. Chandor is, and why he’s one of the best movie makers working today; perceptive, extremely well acted, and lacking only in its inclusion of the DA subplot (which doesn’t add anything), this is the kind of movie that shouldput audiences in mind of the kind of thrillers that were being made in the early Seventies: assured, classy, and with a lot to say. 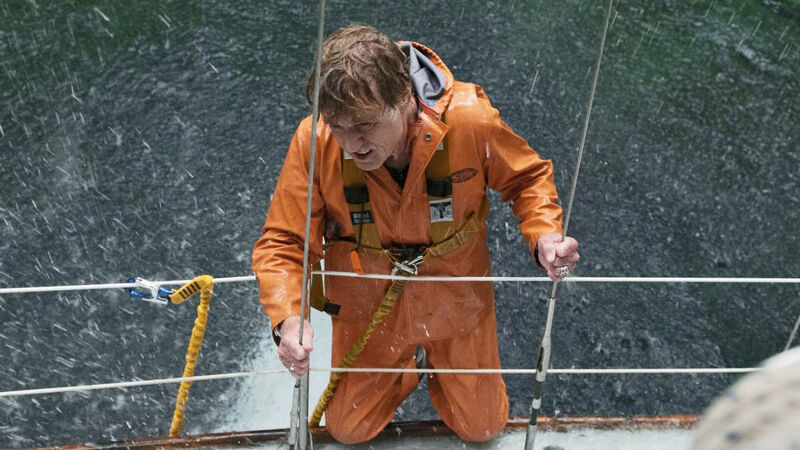 All Is Lost is that cinematic rarity: a one-man show that really is a one-man show. 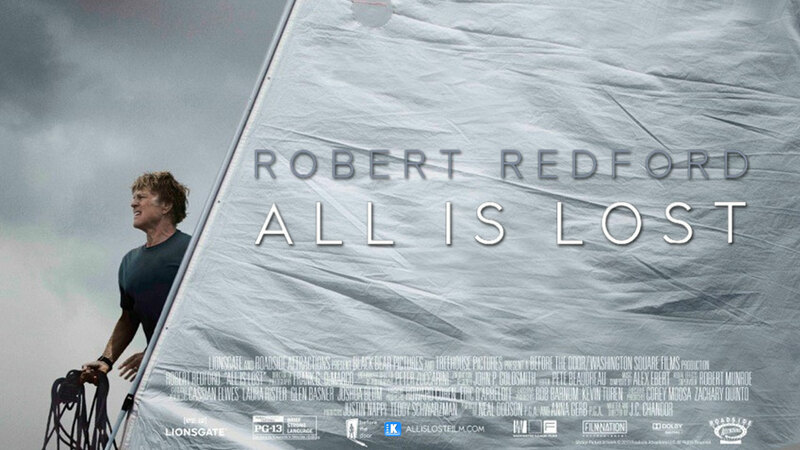 Redford is in nearly every shot in this compelling movie about the courage to survive when a sailing trip goes from bad to worse to terrifying. Waking to find that his sailing boat has collided with a shipping container, and it has punched a hole in the side, Redford – whose character is simply known in the credits as ‘Our Man’ – patches the hole but finds himself unable to call for help, his radio having suffered water damage in the collision. Alone, but determined to get help or get home, Our Man finds himself next dealing with a terrifying storm… and the dreadful aftermath. Over the course of eight days, and as his situation becomes increasingly desperate, Our Man’s resourcefulness is put to the test, until even he begins to despair of being rescued. This is an acting tour-de-force by Redford, who shows that despite recent efforts such as The Company You Keep and Lions for Lambs, he is still one of the best actors around, with a screen presence and a command of material that most younger actors can only hope to achieve. Every emotion, every surge of hope and slough of despair is projected perfectly for the audience to bear witness. The character’s pride and resolve is clearly referenced, and the sheer physicality of the character is heightened by his battle with the sea and the elements (it’s worth bearing in mind that Redford is now 77 – this must have been a very demanding shoot for him). With confident, focused direction by Chandor (from his script), All Is Lost holds the attention throughout and makes for riveting viewing. Filmed partly in the same tank at Baja, Mexico that was built for Titanic, All Is Lost is a fantastic piece of filmmaking, beautifully shot, and perfectly edited; there’s not a wasted moment in the whole movie. Rating: 9/10 – a gripping, enthralling piece of filmmaking that gives Redford his best role in years; an incredible achievement all round.